At 800 HIS WORD we know that exploring God’s Word can be both exciting and challenging. Often finding someone to share exciting discoveries or explore deeper meaning with can be the difference between continuing to discover God’s will and becoming discouraged. Rejoice with you as you share what God is doing for and with you. Get you started on a personalized study of His Word. Help you discover peace and security in God’s presence. Answer your deepest questions about God, Jesus, the Holy Spirit, the future of this planet, the end of life, family and many other topics. 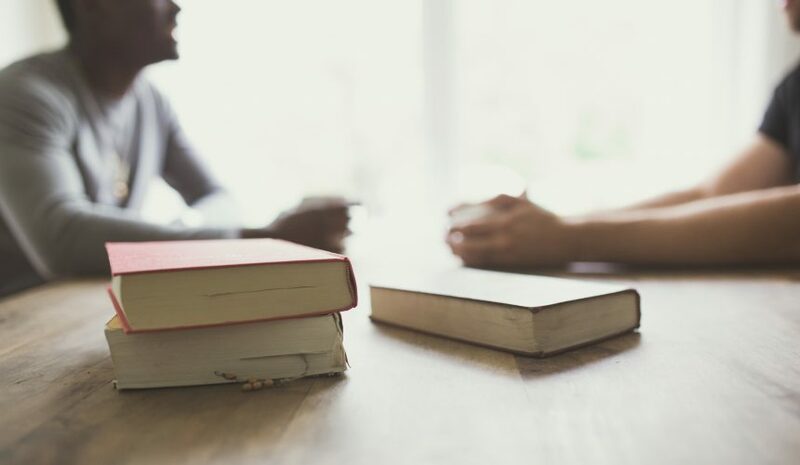 Help you connect with a local study group so your understanding of His Word is ever expanding. Send you study materials to help you understand the great themes of the Bible. Call now to speak with a Chaplain. Let us help you get started or continue with the exploration of a lifetime.1-800-HIS-WORD (1-800-447-9673). If you prefer, you can also contact us online or send us a prayer request.